Writer. Crosscultural coach. Community builder. I used to speak Arabic. Husband, and father of 4. I try to follow Jesus. 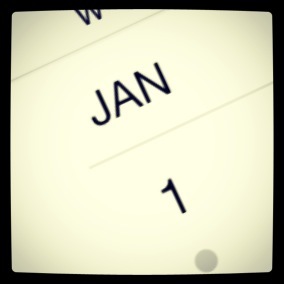 If you open my journal, you’ll see a parade of entries for January 1st over the years. New Year’s Day has a way of compelling me to aspire to a more relevant future. But simply writing down objectives at the beginning of the year doesn’t work. I discovered a planning technique in my last term of college that profoundly improved my ability to steadily accomplish goals. I’d just finished a nightmarish string of all-nighters from the previous quarter because I’d misjudged what I could procrastinate. I sat down in my dorm room after the first day of class and arranged a short stack of syllabi on the desk in front of me. I pulled the calendar off the bulletin board and transferred the due dates for every major assignment from each class into the appropriate boxes. I kept working through the due dates this way, assigning myself start dates increasingly early in the schedule. By the time I was finished, I was supposed to start a paper in the first week that would be completed weeks before it was due at midterm. That seemed silly, but I decided to try following the plan. This small exercise in planning allowed me to steadily plug away at my work in bite-sized, manageable chunks in a methodical execution of the map that I’d made. I walked at graduation a rested man, but I felt like kicking myself. I could have saved myself a lot of torture if I’d figured out that trick earlier. Thankfully, the usefulness of the lesson didn’t end when college was over. It turns out you can reverse engineer any goal you want to accomplish and create your own map to follow. Try working through these six steps on New Year’s Day instead of making a resolution that you know you’ll break. Maybe you have a different method of ensuring that your life follows a relevant course. Please share it with us in the comments section. Some experiences evade the threat of failing memory through sheer sureality. The first time I visited a Muslim household was to celebrate the holiday called Eid al-Fitr, which concludes the fasting month of Ramadan. By custom, the children of the family offered me candy from a bowl, as if I had come to the door trick-or-treating. 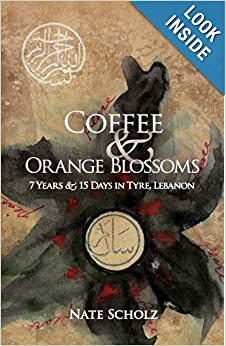 Sitting in the living room of their modest apartment, my head swam as the men of the house spoke to each other in Kurdish. I felt incredibly out of place, but that wasn’t the bizarre moment that I remember so well. It was in the car on the way to visit the next Kurdish home that I suddenly wondered how my life had brought me to this moment. My new friend was driving. Bob was a giant of a man. I’m not extremely tall, but most men aren’t a full head taller than me. The little car he drove made him look even bigger after he squeezed himself in behind the steering wheel. He navigated the roads of Seatac and belted out hymns from memory in a deep singing voice that could have won him a role in an opera. That was the moment I remember. Had I really chosen this situation? Someone introduced me to Bob while I lived on Vashon Island. I told him of my plans to move to Lebanon, and asked him how I should prepare to live there. “How many Muslims friends do you have?” He asked. He had helped to resettle Kurds into refugee camps from the mountains in northern Iraq after the first Gulf War. Many in the Kurdish community in Seattle had followed him there after Sadamm Hussein regained control. Bob mentored me without my realizing or fully appreciating it at the time – and I wasn’t alone. I met others in his home, where he and his wife Jan gathered and fed us. The encouragement I found around that table gave me the courage to step into unusual, uncomfortable moments. He challenged me be courageous when I didn’t know what to expect. When was the last time you experienced something bizarre enough to be memorable? Sometimes it only takes talking about our dreams with people who have already lived them out, and saying, “okay,” when they offer a suggestion. Otherwise, it seems too hard to get started on your own, and you wind up having to live with the itch, like a burr in your saddle, or a raspberry seed stuck in-between your teeth. There you have it – in a nutshell. Everyone should be mentored by giants like Bob. Peter relaxed on the rooftop and offered a prayer of thanks. He had let a servant know that he was hungry and looked out over the surrounding buildings along the sea as the meal was being prepared. This Jewish town of Joppa buzzed with the news of how he’d raised the woman Tabitha from the dead. So many Jews had become disciples of Jesus in the wake of his travels – first Jerusalem, then Lydda, now Joppa. Peter felt sure that Jesus would be pleased with the feeding of his sheep. He still felt the sting of shame from how he had denied knowing Jesus. Despite his unfaithfulness, he’d been forgiven and even empowered. He planned to make the most of this second chance. The sky was blocked from view by a descending sheet, and Peter grew dimly aware that he was experiencing a supernatural vision. The bulging center of the sheet landed first, followed by the corners, to reveal an assortment of animals, reptiles, and birds. A voice in his ear told him to kill and eat, but he thought it was a test. All the animals were forbidden for Jews to eat in the Mosaic Law. He said, “no way!” three times, despite the voice telling him not to question God’s ability to purify anything, before the offending menagerie was finally taken back up into heaven. What a strange vision. What could it mean? Peter was just beginning to ponder deeply when he heard a knock at the door to the house below. No one answered the door to the three Roman Gentiles out there. Jews didn’t mix with the enemy occupier of their land. Undeterred, the visitors called out, asking if the man known as Simon Peter was staying there. Do you think the number three was significant to Peter? I think Peter heard the number three in the Spirit’s voice and broke into a cold sweat. Three men. Three invitations to eat forbidden meat. Three times Jesus asked if Peter loved him. Three charges to feed Jesus’ sheep. And most memorable of all – the predicted three times he denied knowing Jesus before the rooster crowed. Were all those threes setting him up for this key moment in which so much rode on Peter’s obedience? Would he go with the men? The visitors told of the request of his presence in the home of a centurion, the military commander of a hundred soldiers. No stranger to a jail cell, this must have smelled like a trap to Peter. But he was determined not to deny his Lord again. He invited them in to the house to stay the night. 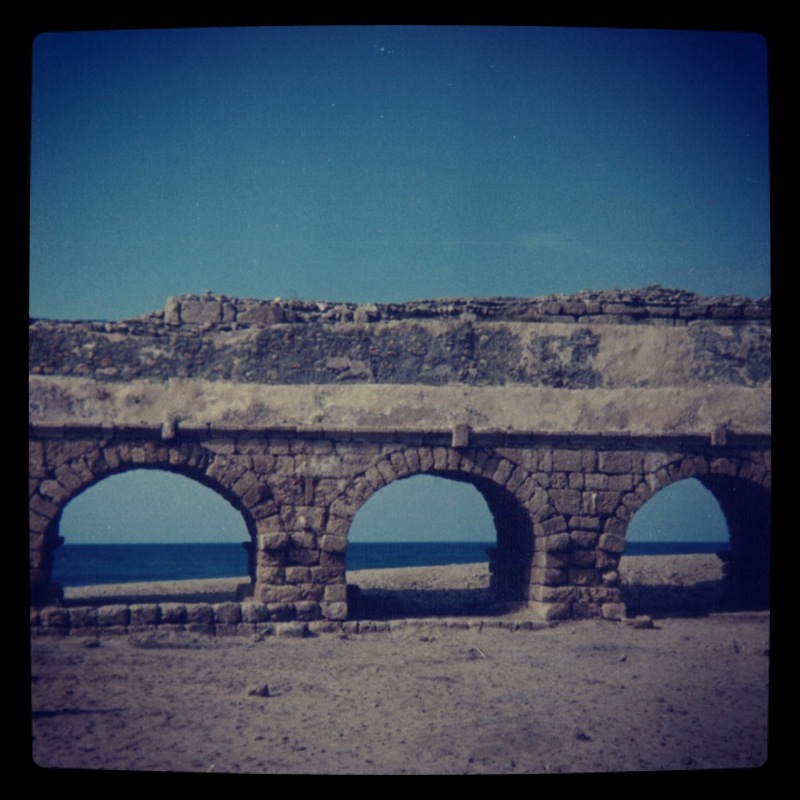 Ten men embarked the next day, for a two-day, forty mile journey to Caesarea. Peter went despite his abhorrence for Romans and Gentiles. The prospect of traveling with them carried the same aversion as eating roasted lizard meat. He took six Jews with him – three times the number required to testify in a Jewish trial. Imagine the reaction of Peter’s fans as they strode along in broad daylight. What on earth is Peter doing with those guys? I thought he was a holy man?! The Romans must have felt the disapproving glares and may have wondered if they were going to get out of the situation alive. What do you suppose they talked about as they walked? Did the Jews ask about Cornelius – how he had come to fear God? Maybe Peter was in the act of explaining that Cornelius’ good works weren’t enough to be accepted into the faith before he remembered his vision about purification. Somewhere around the middle of their journey they crossed over into Gentile territory and the hateful stares shifted toward the Jews in the party. Cornelius met them at his house, together with a crowd of his family, friends, and neighbors. As Peter described his change of heart toward them, and explained the good news of Jesus, they were overcome by the Holy Spirit in a way that the Jews believed should have been impossible. Who was converted? Certainly Cornelius’ faith was ratified by the Holy Spirit, but it could have happened without Peter being there, right? I think the point of the story is the heavenly effort put into getting Peter to Caesarea to experience the event. Somewhere on the road, it was Peter who was converted to God’s kingdom plan to include all nations – not just Israel. The power of a stroll and a conversation? Remember, Peter wasn’t told by the Spirit to convert Cornelius. He was told to go on a journey with three men, to start a conversation. What if the Spirit told you to you take a walk with a Muslim? Would you do it? What might happen as you talk on your journey together? Consider the verb: to mentor. The word mentor is being used more often as we realize that leadership is best passed on through apprenticeship. But does everybody agree on what mentoring is? At a national conference, I learned that perhaps we don’t all agree after a conversation with a twenty-something-aged friend. He had just returned from a large group discussion with leaders of national organizations over dinner. It hadn’t gone well from his perspective. “So how did your emerging leadership session go?” I asked. The core of the problem is that each generation has a different perception of what mentoring means. The mentoring that’s needed will be practical and relevant. Stories about what worked ten years ago aren’t going to cut it. If we want to mentor emerging leaders we must continue to engage in trends, keep our own stories fresh, and not do anything without taking someone younger with us. The problem is that there’s a limit to the number of new leaders that we can realistically impact this way because of limitations in time and energy. A more reproducible solution is to introduce emerging leaders to each other and catalyze them into cohorts that can peer mentor themselves in community. Today’s social media has revitalized interest in real life, face-to-face community. We should not underestimate the power of small groups of like-minded innovators who sharpen their skills together and become loyal companions. The saying used to be, “Those who can’t, teach.” We should revise that to, “Those who can’t, network.” In my own experience, I’ve found that being a part of such a peer-mentoring community results in my gaining much more than I have to offer them. 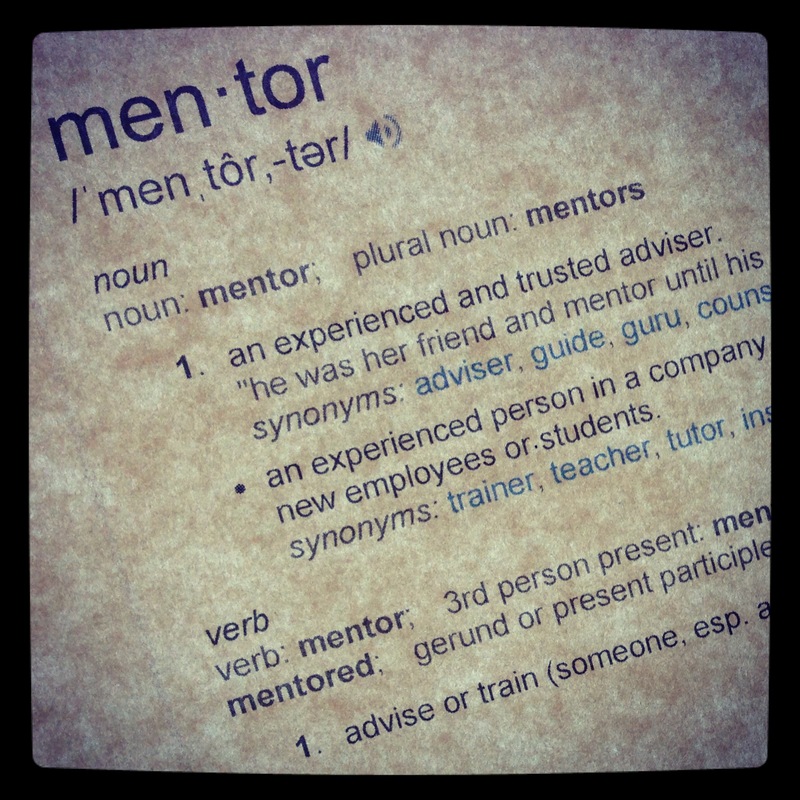 Do you have a different insight into the modern understanding of mentoring that I’ve missed? How would you prefer to get wisdom?